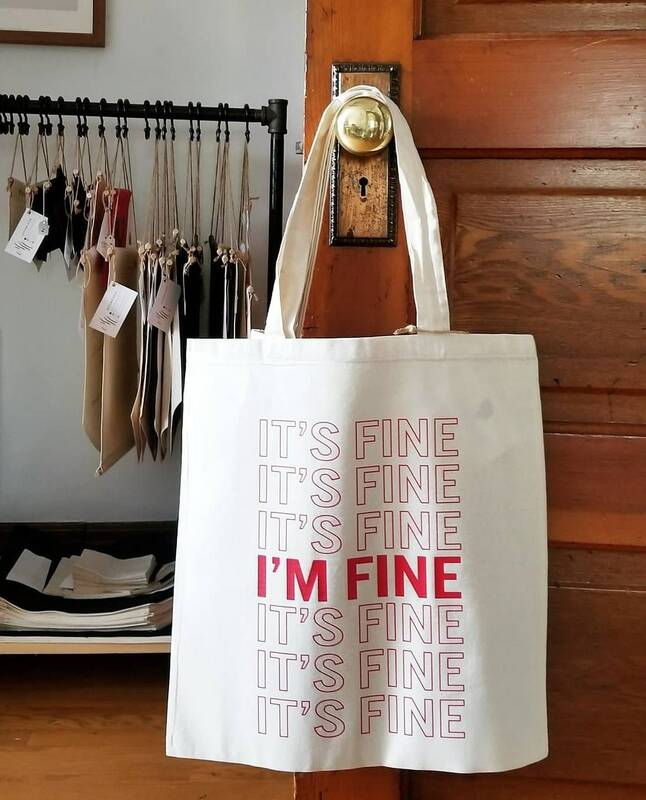 This listing is for one handmade "It's Fine, I'm Fine" tote bag. 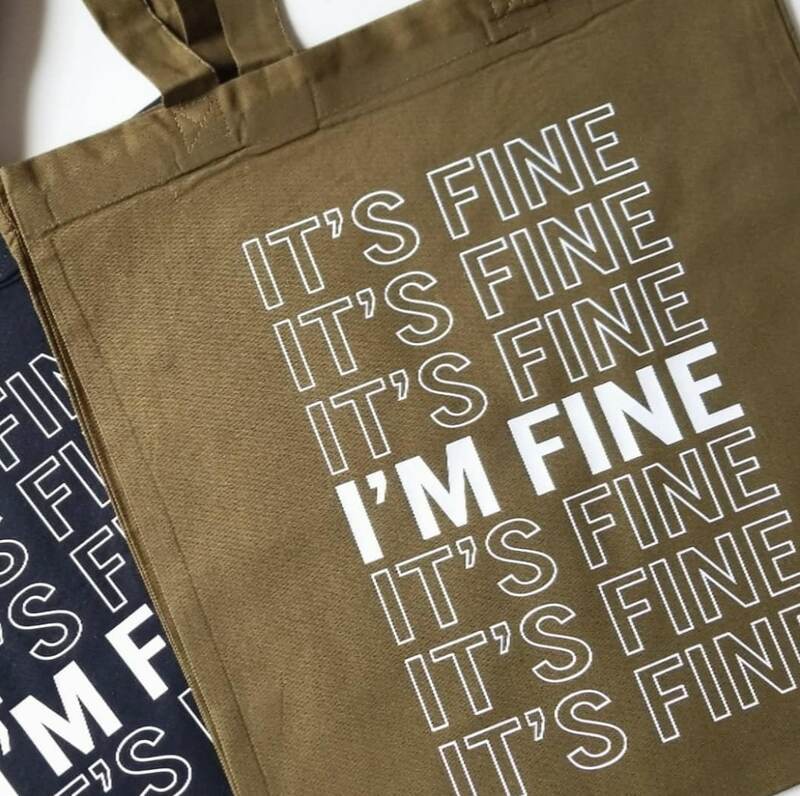 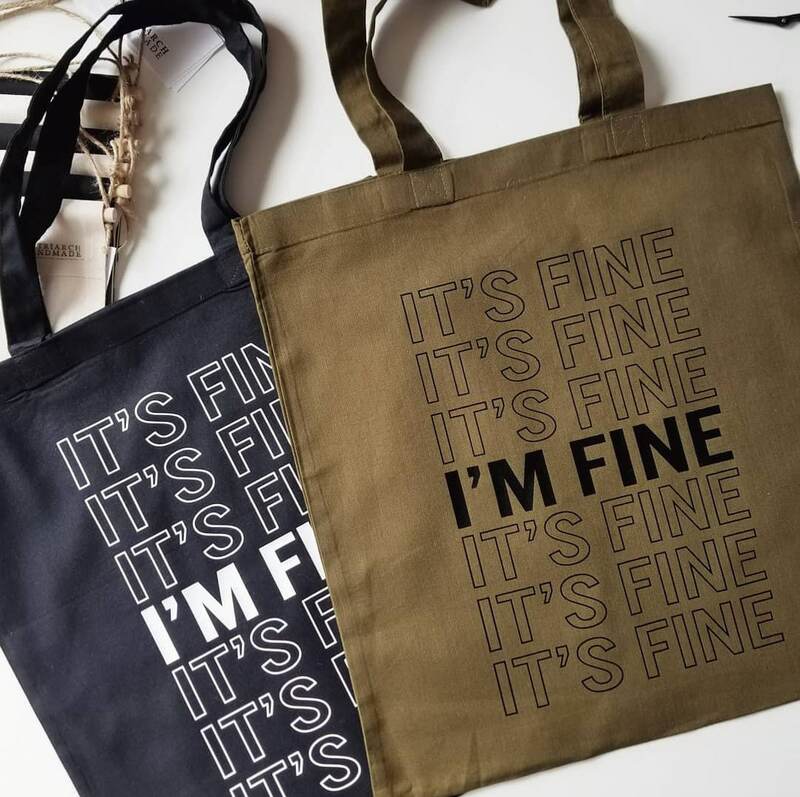 This tote design was inspired by @_balm_ 's "IT'S FINE" t-shirt. 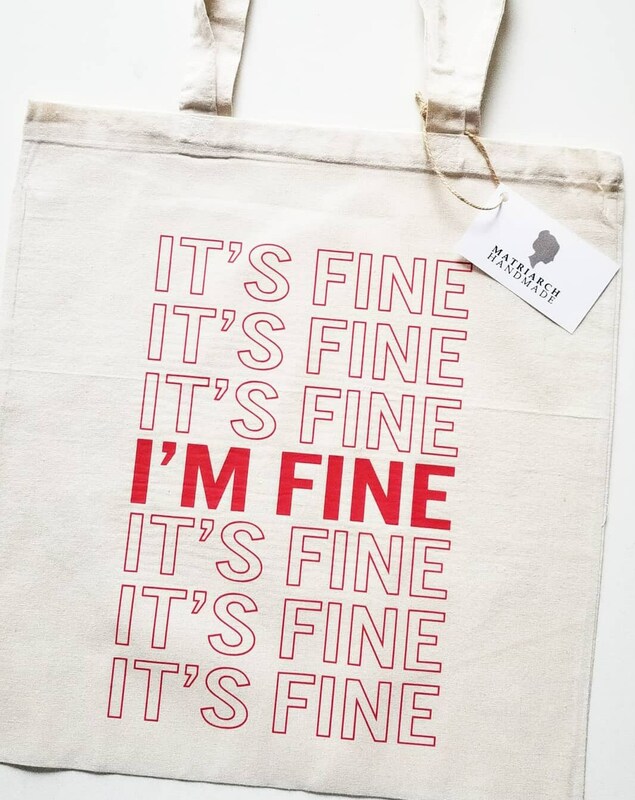 Want a tee instead of a tote go here ----> http://balm.bigcartel.com/product/it-s-fine.